The most complete machine of our catalog. 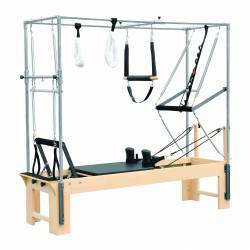 All the advantages of the Cadillac and the Reformer together. The ideal device for rehabilitation and studios who want the most complete offering in the shortest Pilates. 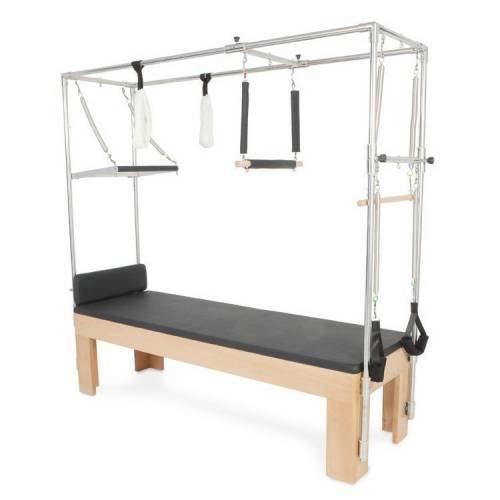 This pilates cadillac convertible is both a commercial-grade cadillac and pilates reformer, providing full function for both in a gorgeous, handcrafted design. The cadillac convertible converts safely and easily between cadillac and reformer, and the compact size of cadillac it is convertible that is perfect for rooms where space is limited.